Very often various CAD drawings are incompatible with programs user has, as each application has its own supported file types. 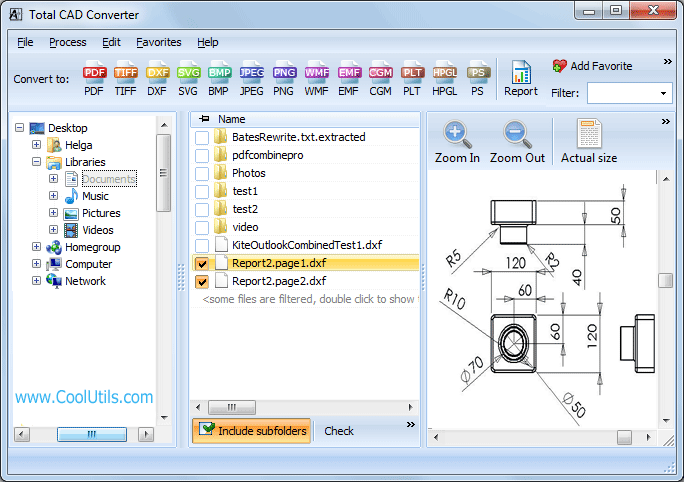 With Total CAD Converter you won't have any problems with formats, as it can convert drawings to various types of files. One of the features it offers is ability to convert VSD to SVG. 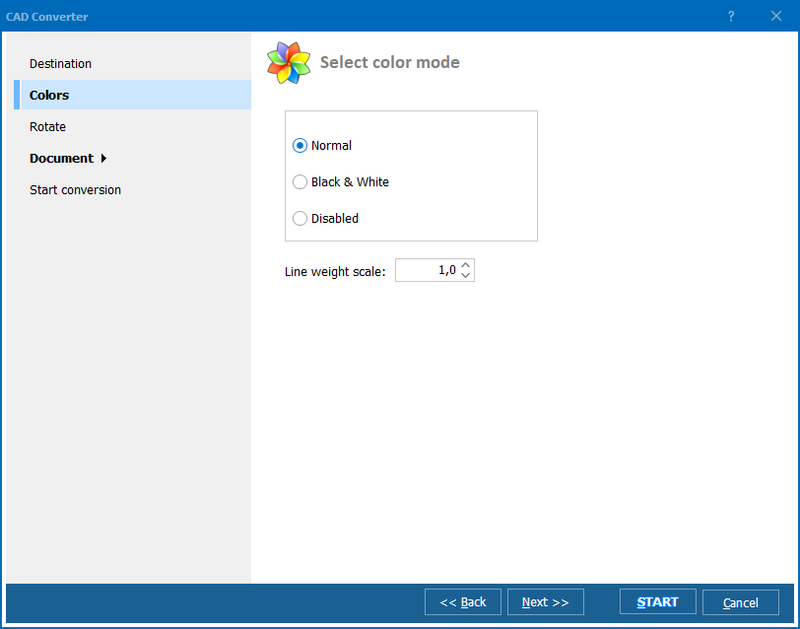 VSD is a native type for Microsoft Visio flow charts, and SVG is a vector graphic format supported by a range of CAD programs. The mode is set in the options wizard. You will see it popped up right after selecting the target format in the top bar. To include files to batch just check them off in the file list inside the program. You can locate them all in one folder and then specify it as a source for conversion. This VSD converter features the handy 'Select All' option. When you want to convert all files from a folder, just press this button instead of checking every file manually. For data protection you may use digital watermark. The program allows adding text watermarks with fully customizable layout onto converted drawings. 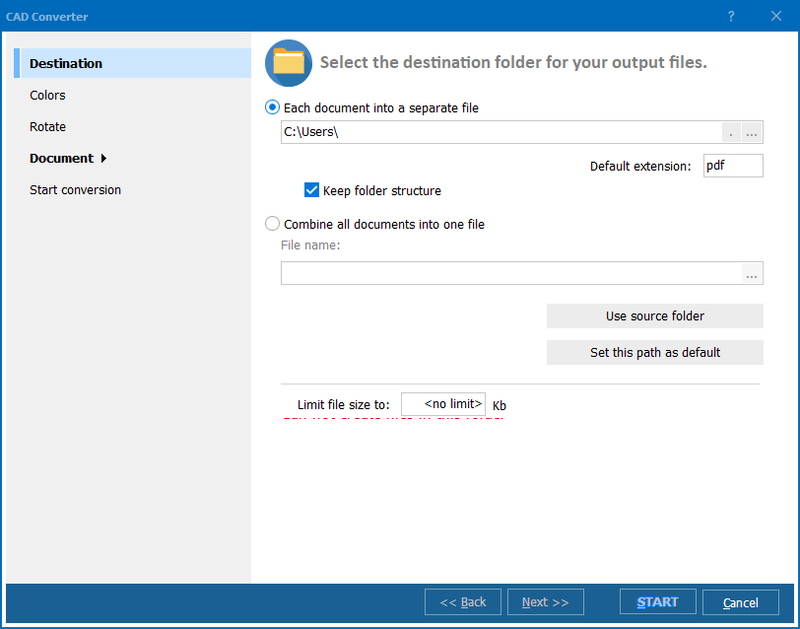 You can convert Microsoft Visio (.vsd) files from the command line too using .bat file with preset parameters or writing a command manually. 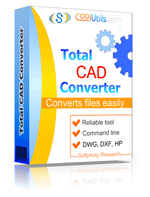 Try Total CAD Converter for free during 30 days - its trial version is here!